Co-ops, condos and townhouses in downtown Manhattan and Brooklyn. B.A. from Virginia Tech with majors in Communications and Political Science. Chris believes in creating a genuine connection with his clients and customers using an approach based on honesty, integrity and transparency. His first loyalty is squarely cemented to his customers and clients, listening to and acting on their needs to build strong, lasting relationships. Leveraging an extensive knowledge of New York City’s condo, co-op and townhouse inventory, Chris’ easygoing demeanor, willingness to help, and razor sharp negotiating skills ensure his clients’ and customers’ expectations are realized while receiving the optimum level of service whether you are buying, selling or renting. Chris joined Compass in 2014 with an extensive sales background. A native of Virginia Beach, he moved to Manhattan in 2012. He holds a Bachelor’s Degree in Communications and Political Science from Virginia Tech. 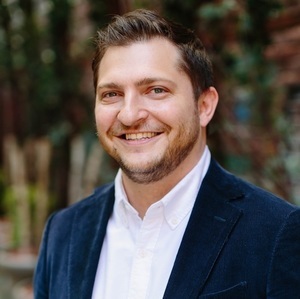 Chris' passion for New York City history and architecture paired with his insight and knowledge of what is happening on the block make him an invaluable guide for all his buyers and sellers.